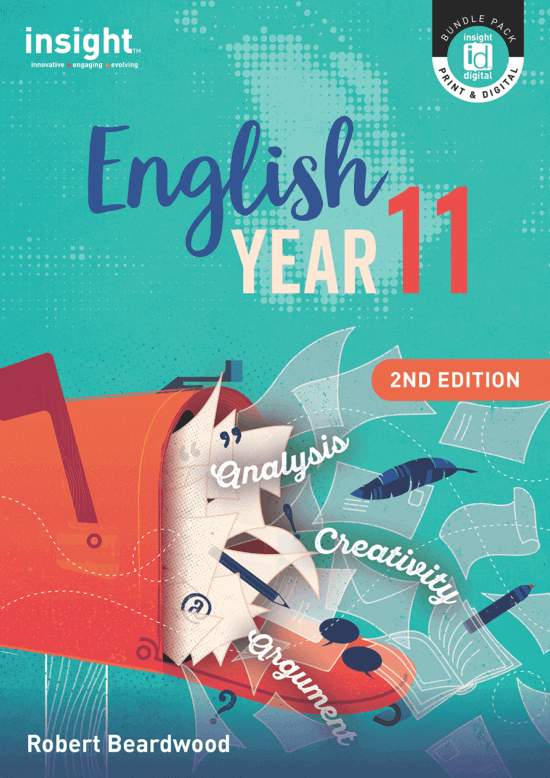 Insight’s English Year 11 2nd edition is a comprehensive and practical guide to Units 1 and 2 of VCE English for the 2016–2020 VCE Study Design. 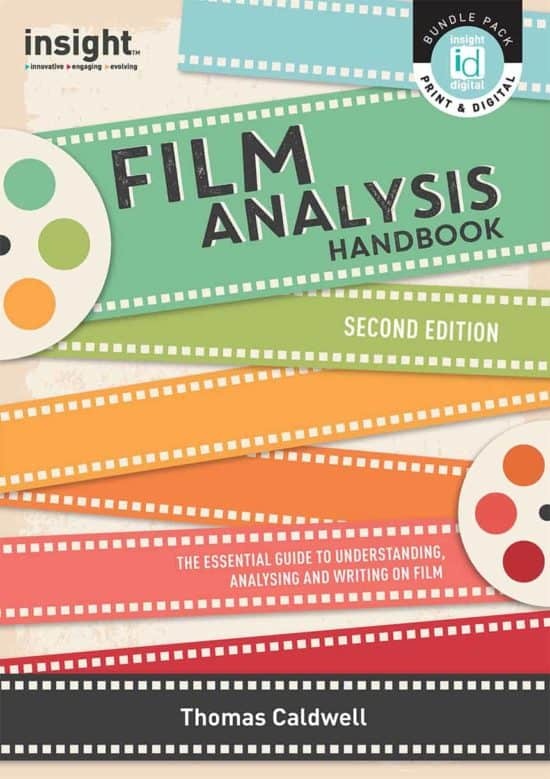 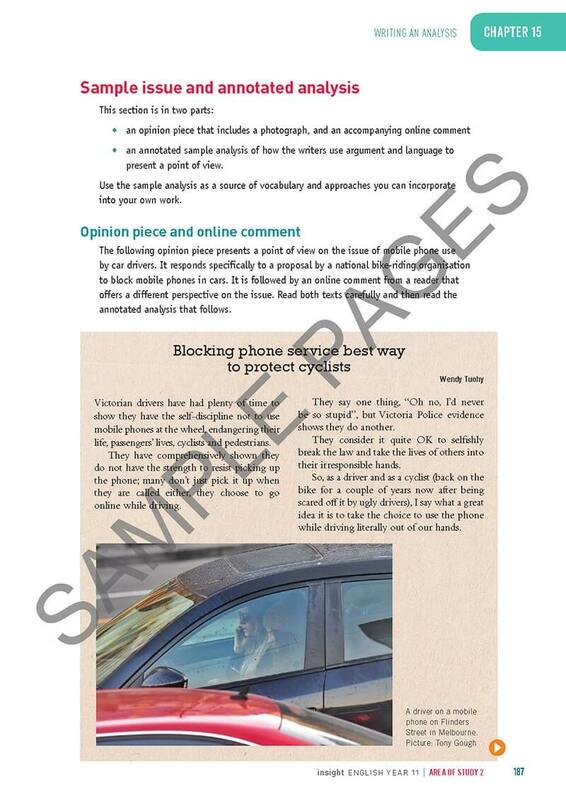 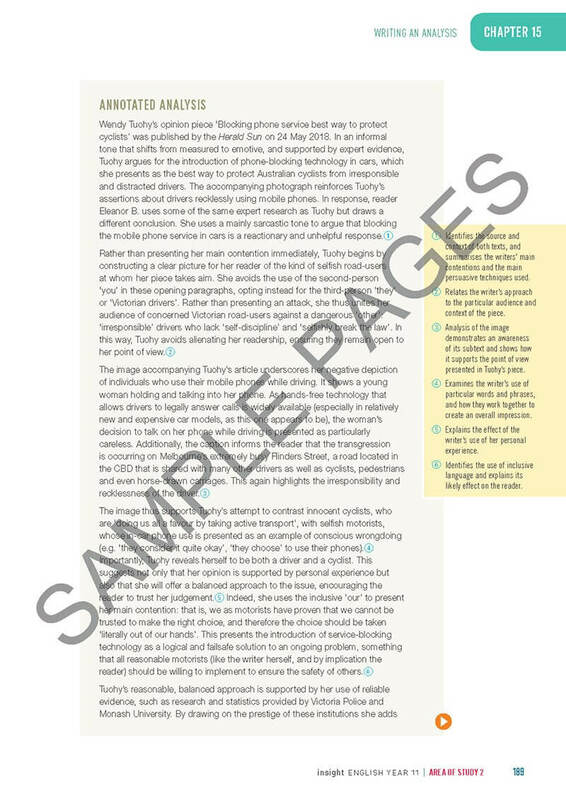 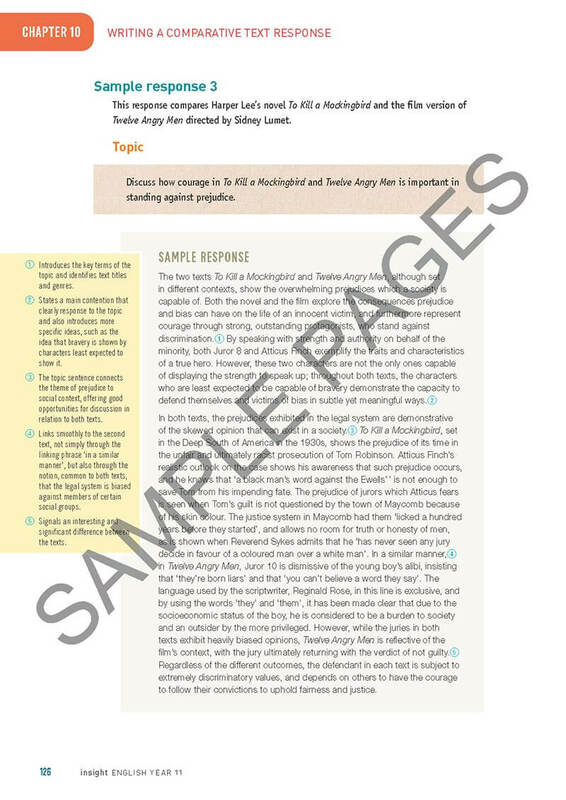 It covers creative as well as analytical responses to texts, comparisons of texts, the analysis of argument and language in media texts, and presentation of a point of view. 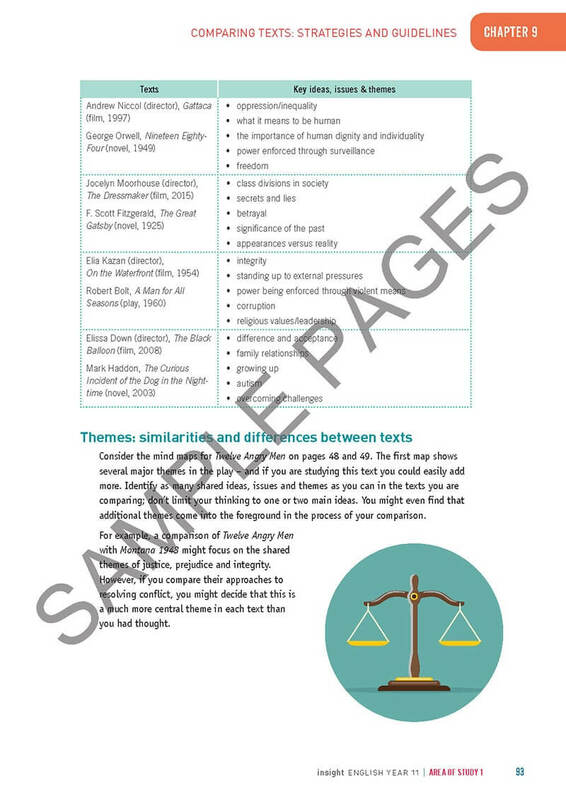 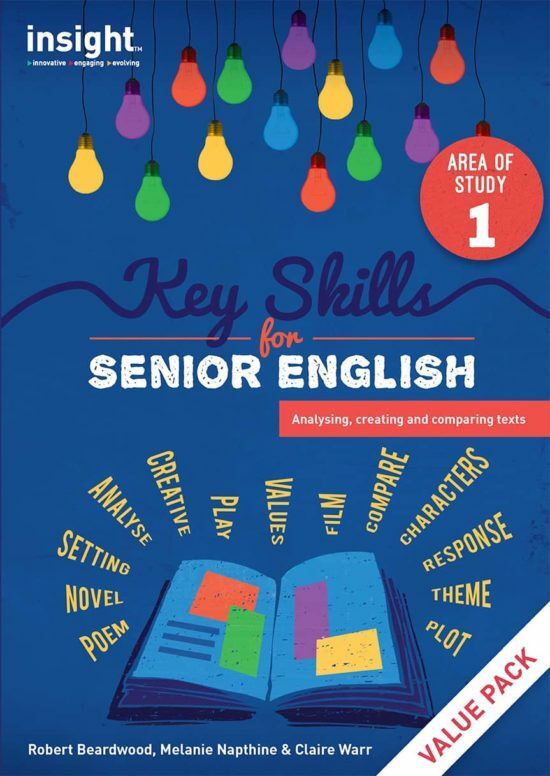 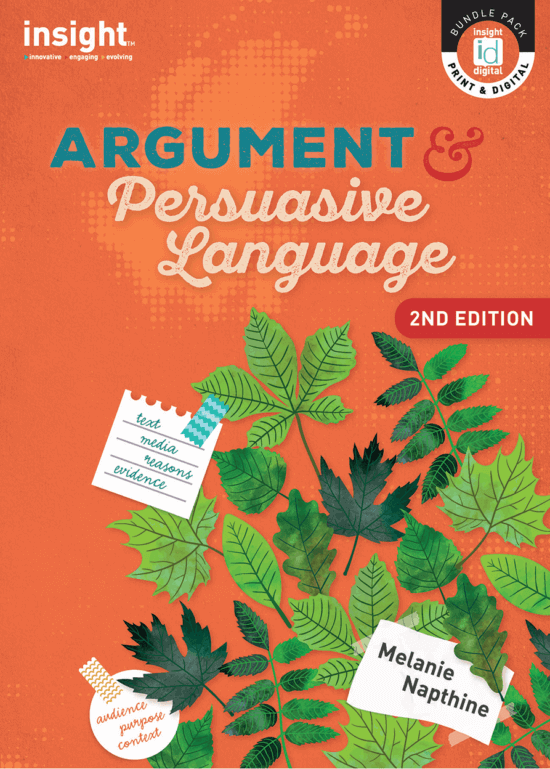 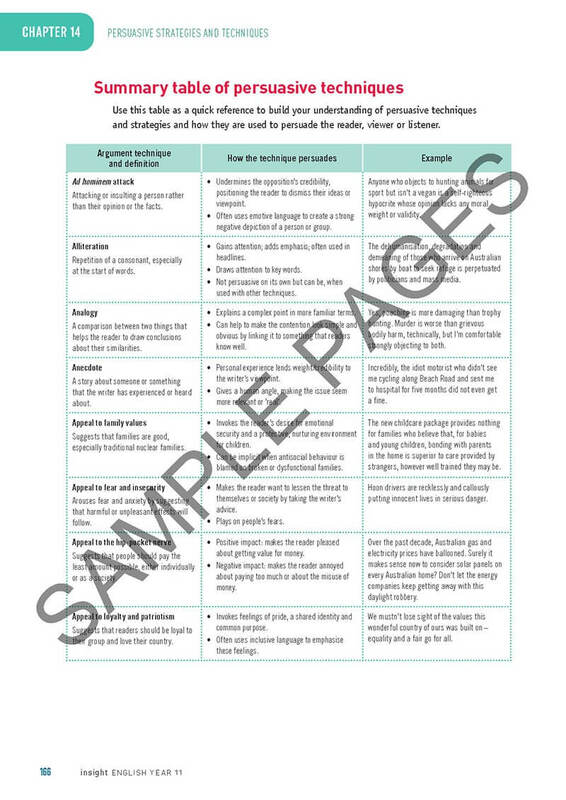 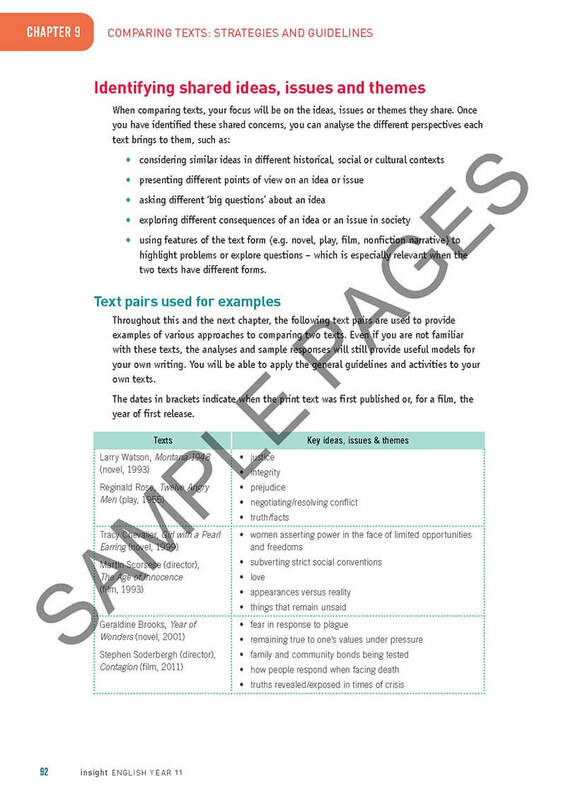 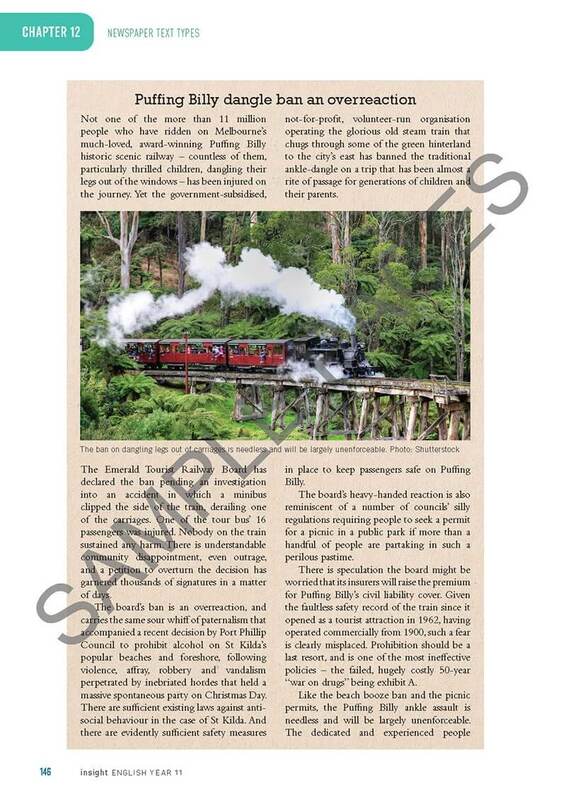 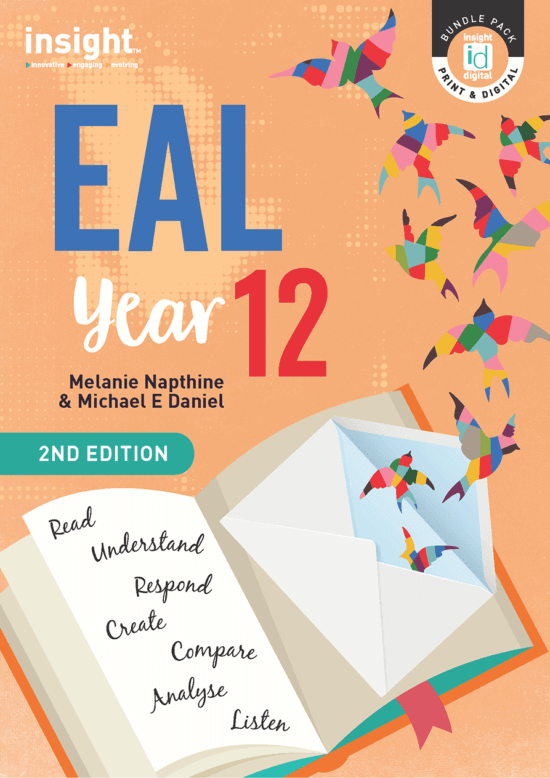 A complete guide to Year 11 English, this textbook develops students’ skills progressively, and thoroughly prepares students for Year 12. 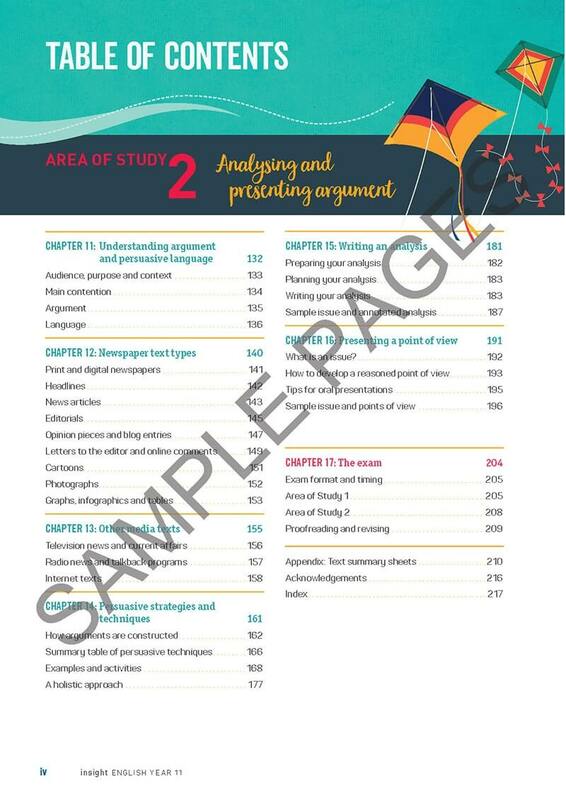 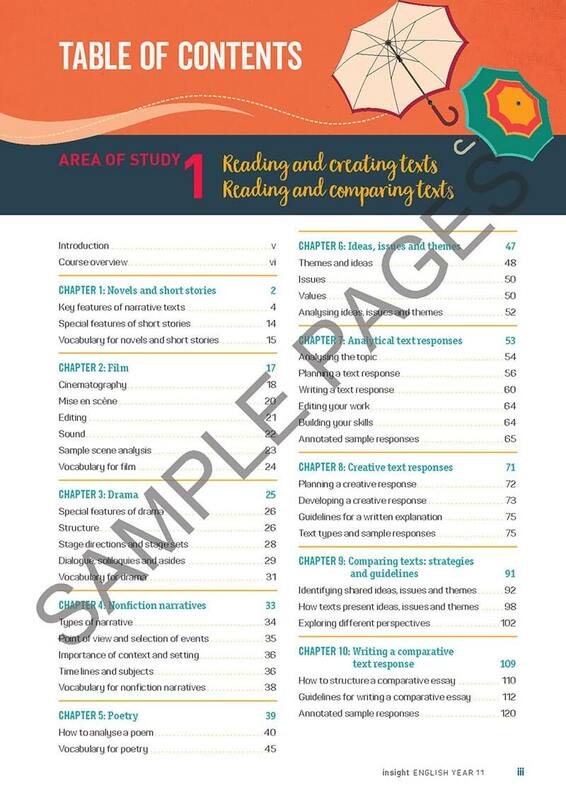 An exam chapter with revision tips for each Area of Study.